EDM superstar Kaskade rocks the crowd. Trade your glow sticks for some actual knowledge, candy kids. Though there are candy kids everywhere claiming to be devoted lovers of drum and bass, few know what they are actually talking about. 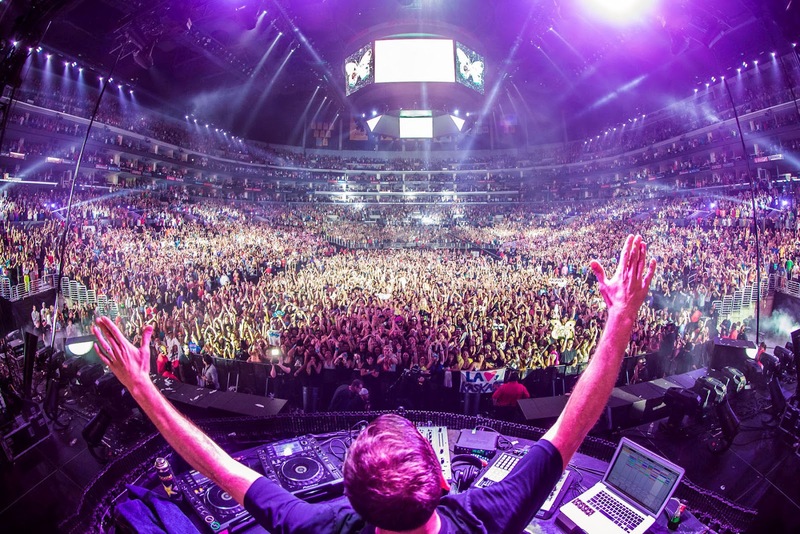 Electronic Dance Music has just become a phenomenon to the mainstream music loves throughout the United States. To them a rave entails buying a ticket online, putting on neon and yelling PLUR (Peace, Love, Unity, Respect) for the entire world to hear. This is not the true essence of a musical form that took decades to create. For the true lovers of electro, the overly sampled mainstream radio hits are truly a disgrace. When speaking of the evolution of this musical trend, four major locations come to mind: Jamaica, Detroit, Chicago, and the UK of course. Spanning all the way back to the peace-loving counterculture of the 1960’s the electronic era made its first major appearance in Jamaica. Dub music was created from a simple combination of reel-to-reel tape players that were overlapped and used to form this new well known deep and hypnotic rhythm. Throughout the 1970’s, the next phase of electronic music came in the not so glamorous 313. As most people imagine house music being blasted by fist pumping macho men, think less Jersey Shore and more Eminem in eight mile. The Detroit native, Godfather of House, music developed this genre with two turn tables and a mixer. Instead of tapping a beat machine and sampling other artists, house music came to be as R&B records were sped up and layered to construct sounds of a completely different sort. Traveling south to the port city of Chicago, house music took off. The windy city nearly tore the house down. After taking a break from the US for a while, EDM only became popular due to the role of the international buddies from across the pond. Taking the fundamentals developed through dub and house music sped up tracks and poppy samples were introduced to music lovers throughout the Netherlands, Germany and the UK. An international dance culture popularized the genre and created this culture of drum and bass. Everyone believing that Deadmau5 and Skrillex created what is now known as electronic dance music is beyond comprehension. Only being popularized in the 90s, the United States falls behind Europeans on their love for lights, music and this explosion of youth. Get your facts straight! Courtney Cummings is a writer, blogger and freelance journalist for several publications. She is currently writing blog content for Ticketmaster's sister organization, Ticketsnow.com. After several years of working on her high school as well college publications, she wishes to pursue journalism in the future. As a junior at the University of California - Santa Barbara, Courtney's double major in political science and philosophy gives her an interesting perspective on her favorite topics, music and culture.